Not sure how most people feel about the end of day light savings time, but I don't mind the change. I was able to watch the sunrise on my way to work this week. It is my favorite time of day! I haven't had a whole time for birding, but here are a few shots of some of the birds I saw last month at Merritt Island National Wildlife Refuge. Hmm, I was beginning to notice a trend, yellow legs. 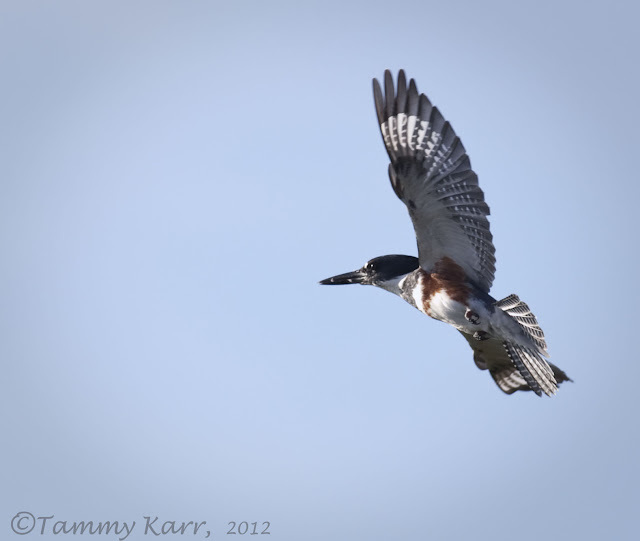 I am amazed with the Belted Kingfisher in flight! 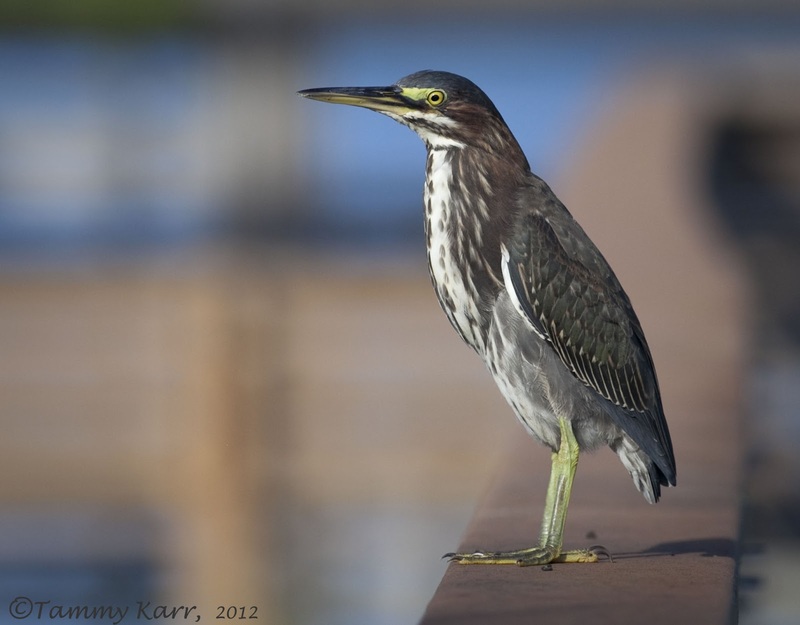 The Green Heron is magnificent so are the other birds! What an awesome way to start your day, especially when headed to work. 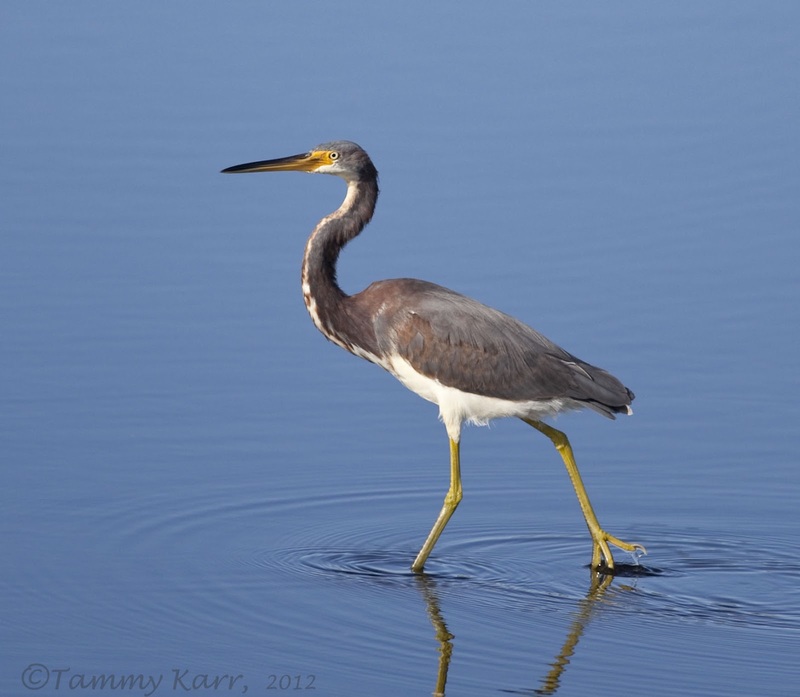 Love your stunning series of Merritt Island birds. Hope your week is going well, Tammy. A nice display of legs ya got here, yellow ones that is. Well done with the Kingfisher too! Belted Kings are soooo difficult to approach for photography. I'm surprised you ever make it to work with a view like that. 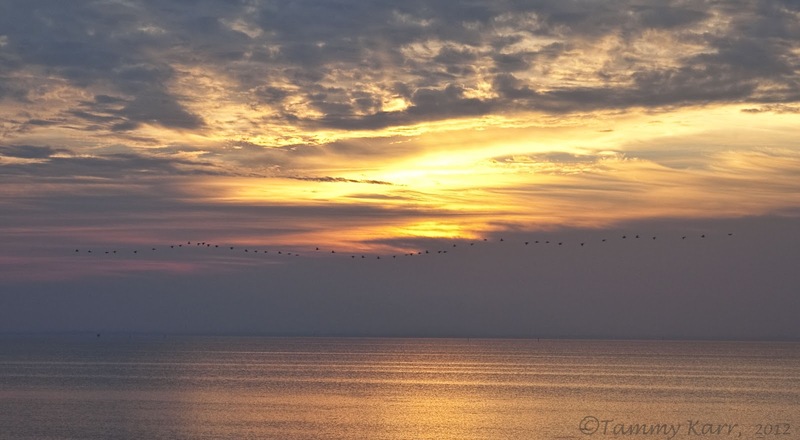 I'd be "one more picture, just one more" and end up fired by the end of the week :) I love the colours and the long line of birds in your first shot, like a black-stitched seam in the sky. 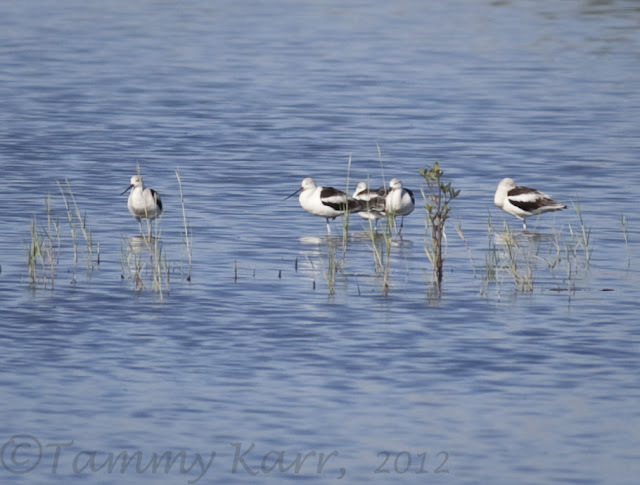 Great photos of the other birds as well. Happy weekend to you, Tammy! Lovely colored birds Tammy....and you have them very good photographed..... the light is also fantastic. Dang...I just contracted another case of Florida-envy. Great shot of the Belted Kingfisher Tammy, whenever I've been over there I found them very nervous and hard to approach. the tri-color is SO handsome! your green heron shot is wonderful, too! I love the third photo with the blue water back drop to the bird. Great contrast. Stunning shot of that kingfisher. What a wonderful picturesque view on your way to work. Here you've got great photos of many interesting birds that I haven't seen before, fun studying these. Like all but the favorite is Green Heron. Amazing. In the beginning it seemed to be them with yellow legs, and slowly it turned into anything. 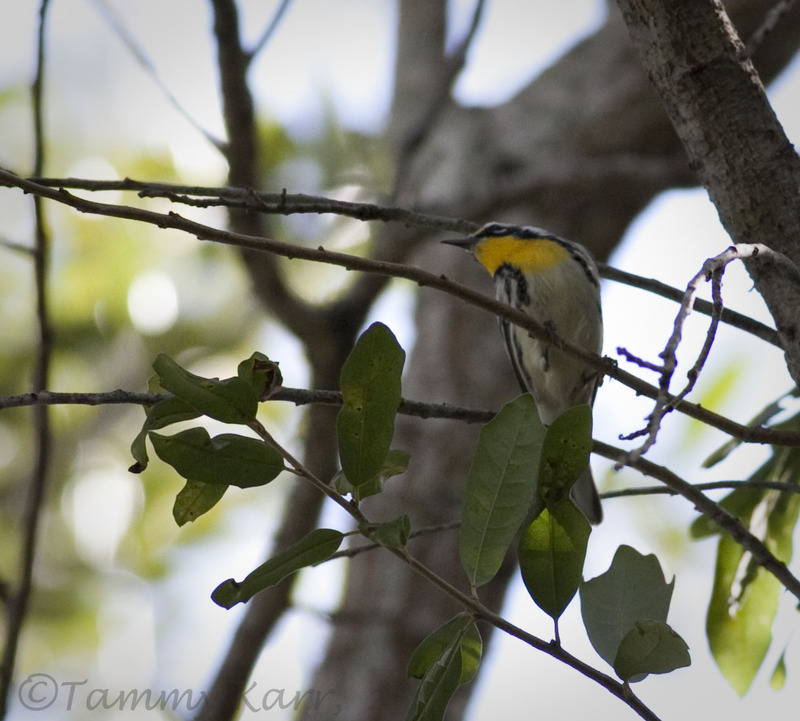 But, I loved the birds with yellow legs, they are special. J'aime la Nature, les oiseaux, les très belles photos, voilà pourquoi, j'aime ton blog. Gorgeous shots, Tammy! I'm partial to the herons, but they're all great! I love the reflections, too! 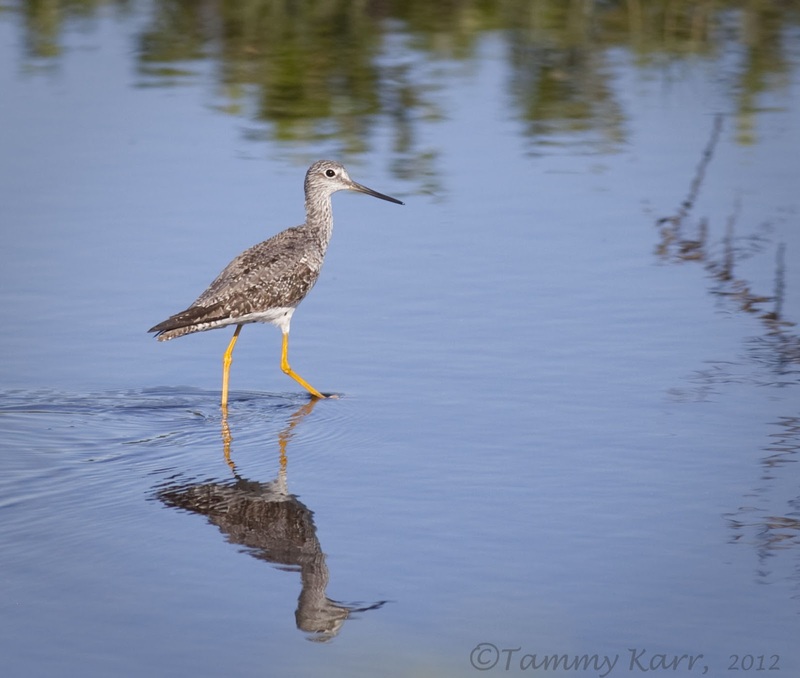 I just saw my first Yellowlegs this past weekend. It was awesome. Love all the Herons. Exciting stuff. It has been Egret, Heron crazy here as well. Great shots!